But should that viewpoint be regarded as aligning with a traditional view of feminism? Well, Assistant Professor of Philosophy at Harvard University, Gina Schouten, thinks not. In her 2017 paper, “Fetuses, Orphans, and a Famous Violinist: On the Ethics and Politics of Abortion,” she urged feminists to “re-center fetal moral status in their theorizing about abortion” and argued that those holding true to a feminist ideology should seek to protect the personhood of the unborn. In any area of the abortion debate, the moral status or “personhood” of the fetus is absolutely crucial. Simply put, if you assign personhood to an unborn being, then you should be compelled to protect its right to life. Indeed, at the point of “becoming a person,” a baby should be endowed with its own inalienable human rights. “I propose, then, that we grant that the fetus is a person from the moment of conception. How does the argument go from here? Something like this, I take it. Every person has a right to life. So the fetus has a right to life. No doubt the mother has a right to decide what shall happen in and to her body; everyone would grant that. But surely a person’s right to life is stronger and more stringent than the mother’s right to decide what happens in and to her body, and so outweighs it. So the fetus may not be killed; an abortion may not be performed. But in Schouten’s interpretation of the scenario, as it relates to abortion, one must always come back to moral obligation. Spotting the loopholes in Thompson’s argument, Schouten asks a critical question: What is the burdensomeness threshold? In other words, how far are we willing to care for something or someone that is solely reliant upon us? Thompson clearly believes that the onus is on the mother to decide the threshold level. But if the fetus is its own person, isn’t this immoral and unethical by simple definition? Not just this, but how can we then, in good faith, apply this cold ethical logic to other situations in which dependents are in need of our care? Schouten stated that feminists have “powerfully drawn attention to the implications of dependence for our moral and political theorizing,” but that in this extremely important area of human ethics, they appear to deviate from their ideological line. 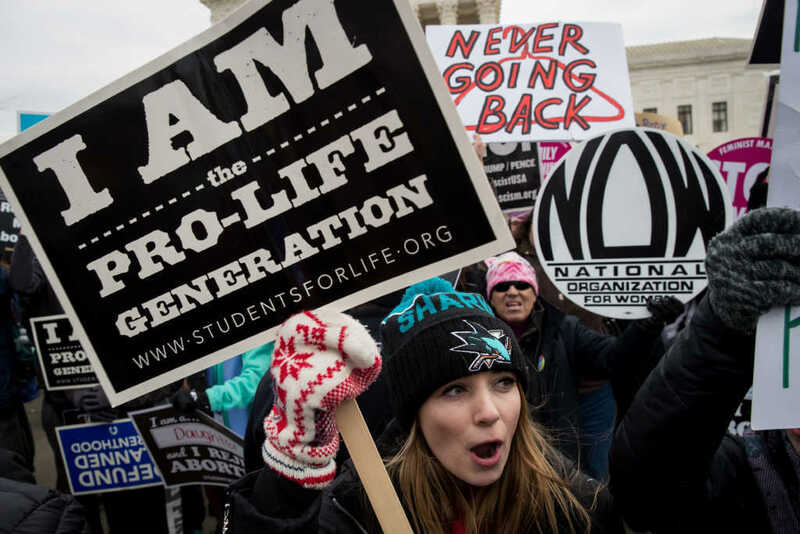 There are, however, many who would now class themselves “pro-life feminists” — these are those who “accept the scientific reality that the unborn child is a human life deserving of the same protection as any other member of the human family,” as the Society for the Protection of Unborn puts it. The society argues that “true feminism” must include a provision for the protection of the unborn.